This article reviews and analyses the evolution of organic seed regulation in the USA, as a model case of how challenges in a new regulatory area are being addressed. The study draws on formal interviews of key stakeholders, participant observation and documents generated in a 6-year period between 2007 and 2013. 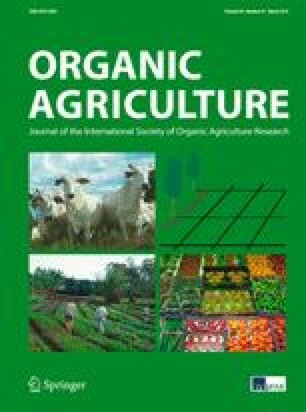 The article addresses three main issues: (1) how proposals for the wording and implementation of the regulation constrain seed choices and give rise to unintended consequences, (2) how emergent organizations and procedures have responded to the tension between sustaining seed differentiation to match the characteristics of local markets, organic production and agro-ecologies, and the narrowing of varietal choice in catalogued seed so as to expand commercial organic seed markets and encourage organic seed breeding and (3) why consensus on the content of formal seed policy has failed to develop despite a high level of stakeholder engagement. The study revealed that the official guidance on the interpretation of the regulation has not been sufficiently decisive to prevent divergent interpretation and practices, and therefore, the needs of a rapidly growing economic sector are not being met. The article concludes by drawing lessons for key areas of regulatory interpretation and practice and by identifying possible ways to make organic seed governance more effective.